Do you think Tablet devices are more expensive? 87% of the customers are agreed that it is little bit expensive. But this conventional belief about the large “Smartphones" has been break the Indian smartphone manufacturer Micromax. They have been introducing several budget tablets with attractive features since last two years. Major of their tablets are rated fewer than 10000 Indian rupees (around $160). Definitely this is not a small thing. In a sense Indian tech fans are lucky. Micromax always fulfills their money conscious minds positively. Here we try to review one budget Android Tab from Micromax named Canvas Tab P666 which is one of the latest releases. Our rating of the smart tab is 8 out of 10. The Micromax Canvas Tab P666 highlighting an 8 inch IPS LCD capacitive multi touchscreen with a pixel density of 165 PPI. Micromax canvas tab S666 runs Android 4.4 KitKat and provides Android Play store facilities. The Tab is powered by a 1.2 GHZ dual core Intel Atom processor with built in graphic acceleration. It offers a resolution of 800 x 1280 pixels; big screen is good for reading and web browsing. The Canvas Tab P666 is equipped with a 5MP auto focus shooter with support for full HD (1,080p) video recording at 30fps. It is accompanied by a 2MP camera on the front. It has an on board storage unit of 8GB which is expandable up to 32GB. The Micromax Canvas Tab P666 is powered by a non-removable standard 4,400mAh Li-Po battery which provides up to 15 hours of talk time and 325 hours of standby time in 2G. Advanced connectivity options such as 3G, Wi-Fi 802.11 b/g/n, Bluetooth 4.0 and micro USB 2.0 port are available in the Tab. The tablet comes with attractive pre-loaded software like M!Games, M!Live, Hike Messenger, BoookMyShow, SwiftKey and Opera Mini Browser. Display screen quality and camera results are little disappointing. Sony, the most populous Japanese multinational conglomerate recently introduced their new generation Dual SIM Android smartphone named Xperia E4. Sony’s Xperia series is one of the tremendous successors in our smartphone industry. As our expectations the new device is bigger than Xperia E3 which coupled dual SIM capability. But the smartphone has disadvantages like poor camera, average display and expensive. The new member of the wealthiest Xperia series has runs 4.4.4 Android KitKat which can soon upgrade to the latest Android Platform (Lollipop 5.0) with enormous play store facilities. 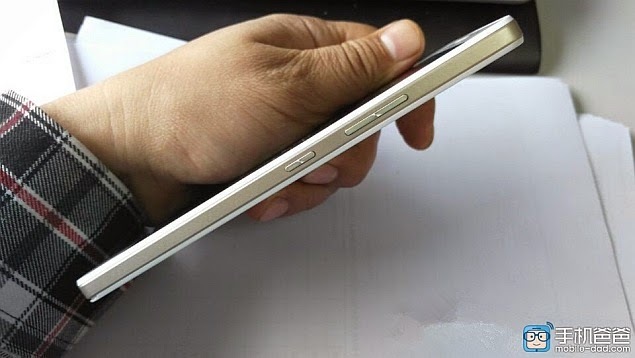 The device has a bigger screen than the Xperia E3. The Sony Xperia E4 proceeds with a 5 inch IPS LCD display with resolution of 540 x 960 pixels. The Xperia E 4 now available in black, white and both colours shade. 1.3 GHz Quad-core Cortex-A7 processor with Mediatek MT6582 chipset, Mali-400MP2 GPU, 1GB RAM and 8GB internal memory is the power pack of the device. There is an expandable memory slot on the device for micro SD card to expanding the storage memory up to 32GB. The smartphone comes with a 5 MP primary shooter on the rear and a 2MP front facing camera. The device is powered by a removable Li-Ion Standard 2300mAh battery which provides a talk time up to 12 hours 43 minutes and standby up to 696 hours. Special features: MMs, SMS, Email, Bluetooth, Wi-Fi, 3G, Camera, Video Capture, FM Radio, Audio Player, Video Player, Memory slot, Smartphone and Touch screen. Lenovo, the Chinese multinational computer technology company has recently introduced an awesome smartphone named A7600 M which will roll out tomorrow (April 7) in the Indian Market. Now it is spotted online. Lenovo A7600M runs the latest Android5.0 Lollipop operating system. Lenovo A7600M has High Definition 5.5inch multi-touch display with a resolution of 1280 x 720 pixels. The smartphone designed as cool and stylish stuff which is 152.60 mm high, 76.00 mm width and 7.99 mm depth. A7600M measures dimensions 152.4 x 76 x 8.39mm and weighs around 150 grams. The smartphone is powered by an updated MediaTek MT6752 octa-core chipset with a combination of 2GB RAM. According to the various news and rumours, it is also expected to have an internal storage of 8GB which is expandable up to 32 GB via micro SD card. Lenovo A7600M has 13 megapixel primary camera o the rear with Auto Focus and LED flash light which will produce high quality images and 720p HD video recording and playback. Face Detection and HDR capture are other major features of the main camera. There is also a front facing camera for selfie needs which is 5MP digital quality. The power unit of the smartphone is a standard 3000mAh Li-Ion removable battery which provides sufficient talk time and standby. Advanced connectivity options like 3G, 4G, Bluetooth, Mobile Hotspot Tethering, WiFi and USB also included. There is no word about the price tag of the device at present. “Day by day, Micromax has been breaking all cliches in the smartphone world” – This is the natural response of an Indian customer who has been enjoying the modern cell phone technology through the Micromax device platform. This is not a rare reaction. Budget enthusiastic customers in India deeply believe that the statement is true. What magic is done by Micromax? There is nothing hidden. The Indian smartphone manufacturer always sets their goals into the middle class customer’s money conscious mind. They have been trying to ‘hijack’ the cell phone industry with the help of middle class people in India. If you close watch the releases from Micromax, you can easily identify the statement is a perfect true. For example, Micromax’s new release Fire 4 A107 from the Canvas Series is attracts to the middle class for its attractive price tag. The latest Android OS (Lollipop 5.0) running smartphone also offers an amazing digital audio experience with the help of Cirrus Logic Wolfson Stereo DAC audio converter for improved bass thump and crystal-clear audio in the Dual Front Firing speakers. Micromax Canvas Fire 4 A107 has a brilliant 4.5 inch (11.43 cm) FWVGA multi touch display protected by the branded Corning Gorilla Glass 3. 480 x 854 pixels screen resolution with 16.7M colour depth is comparatively an above average feature which enables a stylish visual experience. The smartphone is powered by a 1.3GHz Quad Core processor with 1GB RAM. Considering the whole market pulses, the technology power pack of the smartphone is an average level. The Random Access Memory (RAM) will be pitiful for playing latest mobile games and animations. An insufficient 8GB on board storage can compensate via external SD memory card which suitable for an empty memory slot on the device. 8MP auto focus rear shooter with LED flash provides 3264 x 2448 pixels image quality and HD recording. There is a 2MP fixed focus front camera for selfie needs and video chatting. One removable Standard 2000 mAh Li-Ion battery delivers the power unit of the device. Back-light alert through the Micromax Punch logo on the rear is another attraction which is notify every time you get a message, call or email. 3G, Wi-Fi, Bluetooth and USB facilities offer modern mobile connectivity. The new Motorola Moto E 2nd Gen will be the main competitor for Micromax Canvas Fire 4. Both smartphones have similarities especially its price tag and overall rating. Micromax continues their remarkable journey in the world of smartphones. One of their latest releases named Canvas Xpress A99 is the new smartphone trend in the field of mid-range cell phones. It will be consider as the budget – features –stylish balanced device. Canvas Xpress runs the latest Android operating system – Lollipop 5.0. Micromax Canvas Xpress comes with a brilliant 11.43cm FWVGA Multi-touch IPS display with 854 x 480 pixel resolution. Canvas Xpress is powered by 1.3GHz Quad Core Processor with inbuilt graphic acceleration and offers dual-SIM connectivity. The smartphone takes the preloaded HotKnot App is the main attraction of the devices. The HotKnot feature helps to users for sharing images, videos, music and browsing URLs via tap screen-to-screen option. Micromax canvas Xpress has 1GB RAM and 8GB internal storage with an expandable option up to 32GB via microSD card. The device equipped 5MP rear camera with LED flash and VGA front camera. The main camera provides Auto focus – Geo Tagging features. The connectivity options include 3G HSPA+, WiFi 802.11 b/g/n, Bluetooth 4.0 and GPS. The power unit of the smartphone is a standard 1950 mAh removable battery which provides 7 hours talk time and 240 hours standby. Micromax announced an entry offer along with the device that 500MB of free mobile Internet data for the first six months exclusively for Aircel users. Micromax, the Popular Indian smartphone brand has achieved a remarkable position in the smartphone industry at present. Micromax is the top most cell phone manufacturer which manufactured most number of smartphones every year. Certainly it is not a small thing. Now In India, the Company is arising to the peak position very quickly and pushes aside the international successor Samsung. Micromax continuously expands their most popular Canvas Series and added marvelous products under this category. All devices have listed to the best seller products in India. Comparing other manufactures Android smartphones, the main attraction of the series is its ‘value of money’ nature. Canvas Juice 2 is the new trended product from Micromax which is powered by a brilliant 1.3GHz Quad Core Processor with built in graphic acceleration. Micromax Canvas Juice has 5 inch IPS LCD capacitive multi touchscreen with 720 x 1280 pixels resolution and 294 PPI. The display feature of the smartphone is protected by a Corning Gorilla Glass 3. The Dual-SIM smartphone runs the latest Android version (v5.0 Lollipop) with clouded play store facilities. The device also provides a decent memory package which includes 2GB RAM and 8GB Internal Memory. There is also a memory slot on the device compatible for micro SD cards. We can expand the external memory up to 32GB. Dual shooters are another attraction of the device. 8 MP main camera provides 3264 x 2448 pixels picture quality and 720p HD video recording. Autofocus and Geo-tagging are the main camera features. The device has one LED flash light on the rear panel. 2MP secondary camera fitted on the front panel for video chatting and selfie taking. Li-Ion 3000 Standard mAh battery is the power unit of the smartphone which provides 9 hours talk time in 3G and 435 hours in Standby. Good camera performance, very nice battery backup and ‘value of Money’ are the main attractions of the device. After the succeeded sale of the Motorola Moto E, the Company released its second generation with 3G connectivity recently. The 2nd Gen Moto E is now available major e-commerce websites. Expert opinion of our technical wing the device is graded 8 out of 10. The new E will be in two versions - 3G and 4G. The Moto E 2nd Gen offers a brilliant 4.5 inch display with 540 x 960 pixels display resolution. As compared to the old 4.3 inch display, it is more commendable and advanced. The 3G version handset runs on the 1.2 GHz Snapdragon 200 quad core processor while the 4G version has the 1.2 GHz Snapdragon 410 quad core CPU. Both smartphones have advanced inbuilt graphic acceleration with decent PPI. Also the new model has much better 8 GB inbuilt storage against 4 GB of the earlier Moto E model. However, the new model has 1 GB RAM and a 32 GB micro SD card slot as the older one. There is 5MP primary camera on the rear which can record videos at 720p HD and a VGA front facing camera for video chatting. According to the official words from the Company, the device will be rolled out in 50 countries which consist Europe and Asia along with North America and Latin America. However, the device has just entering in the smartphone market and now available in selected major retailer outlets only. Processor: The new Moto E has an upgraded processor From Dual Core 1.2 GHz Qualcomm Snapdragon 200 to Quad core 1.2GHz Snapdragon 410 64 bit SOC. Storage: Internal storage capacity now 8GB instead of the old 4GB. Both the device has the same Expandable storage which is up to 32GB via micro-SD Cards. Display: The New Device’s screen size increased to 4.5 inch instead of 4 inch in the original Moto E. However, there is no change in the screen resolution. Battery: Here is a huge different between the new one and the old. The new Moto E is powered by a standard 2390 mAh battery. But the old Moto E had only 1980 mAh battery. Camera: Both versions equipped with 5MP auto-focus primary camera on the rear. But only the new Moto E has ability to 720p HD video recording. The new Moto E has an addition of a front facing fixed focus VGA camera. There was no secondary shooter on the old Moto E.
Connectivity: The new Moto E 2015 comes with 4G capability. Samsung has launched a new smartphone called the Galaxy S Duos 3- VE which is an upgraded variant of Samsung Galaxy S Duos 3. 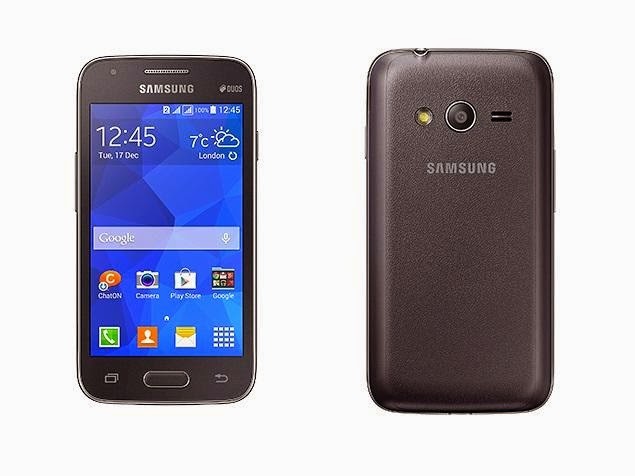 The Samsung Galaxy S Duos 3-VE is a dual-SIM Android-based smartphone. The handset runs Android KitKat OS with advanced smartphone features of Google. It is powered by a 1.2GHz dual-core processor coupled with 512MB RAM. The device comes with 4GB inbuilt storage which is expandable up to 64GB via micro SD card. The smartphone also features a 5-megapixel rear camera, 1,500mAh battery, and connectivity options like dual-SIM card slots, 3G support, Wi-Fi, Bluetooth. Connectivity options include: Bluetooth, Wi-Fi, Wi-Fi Direct, GLONASS, Micro-USB, FM Radio. User experience measuring gears indicate that the budget smartphone is one of the “Value for Money” products from the Korean firm. Micromax Canvas Selfie: Exclusively for Women? Would you see a smartphone with glamour photography equipment exclusively for women? Micromax has recently announced Micromax canvas selfie A 255 one of the perfect selfie smartphones which fulfill your self-portraitist talents. 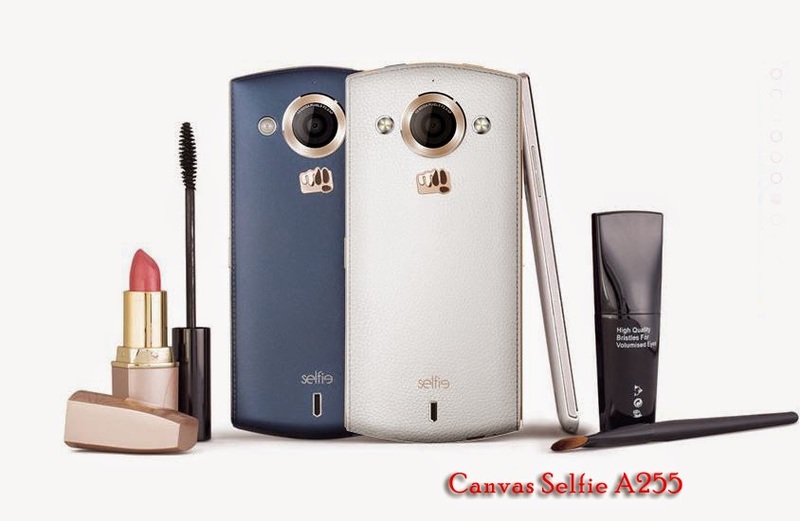 As the name pointed; the highlight of the Canvas Selfie A 255 is its 13 megapixel front and rear cameras that are both accompanied by LED flash units. The 13 Mega pixels selfie camera with LARGAN lens and Sony sensor on the front accompanied by a soft flash. The 13 megapixel Auto focus main camera with LARGAN lens and Sony sensor on the rear is accompanied by a Dual LED flash. Both shooters are provides 1920 x 1080 pixels Full HD Video Recording and Playback. The Canvas Selfie is powered by 1.7GHz Octa-Core processor coupled with 2GB of RAM. An inbuilt Mali 400 GPU provides a fabulous graphic acceleration. The smartphone runs Android 4.4.2 KitKat and supports dual-SIM (GSM+GSM). The software (OS) will be upgraded into the latest Android Lollipop. Micromax canvas selfie A 255 includes 16 GB internal memory bank and 32 GB expandable memory via micro SD card slot. Micromax Canvas Selfie A255 available in Sapphire Blue & Pearl White colour. The canvas selfie takes with long lasting power battery made with 2300 mAh, 8.5 hours talk time and 198 hours stand by time. Connectivity options on the Canvas Selfie include Bluetooth 4.0, Wi-Fi, Micro-USB, GPRS/ EDGE, and 3G.